Video has taken over the internet and your digital marketing efforts also need to include videos of your artwork or photography. 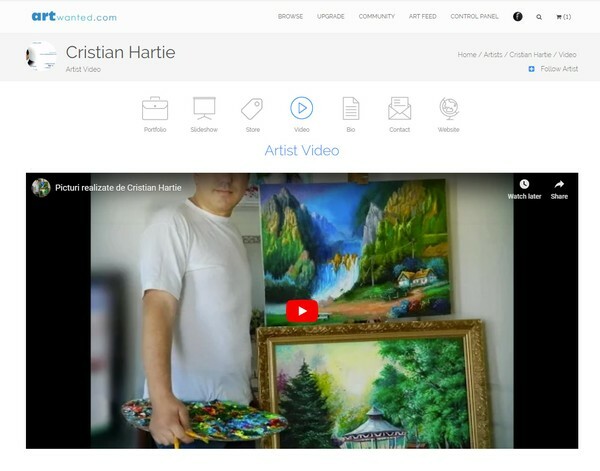 ArtWanted now makes it even easier to display videos on your online portfolio. Improved display experience for your portfolio videos. YouTube links are now converted to embedded videos to watch directly on your portfolio. Add up to three videos to your ArtWanted video page. Create an intro description that shows at the top of your video page. 5. The new video(s) will be added to your ArtWanted portfolio on the VIDEO tab. After your video is created, visit your Portfolio Settings page to add it to your portfolio. We look forward to seeing your portfolio videos!